As we said before on the blog, the Bryant Park Shop features a greatly-expanded product line this holiday season. Shop online or in person. 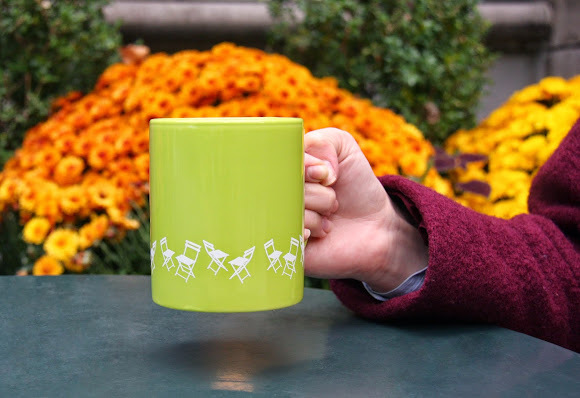 The Bryant Park NYC mug features several Bryant Park icons: a silhouette of our bistro chairs, our green color, and the Bryant Park NYC standard collection logo. The Bryant Park NYC hoodie is that perfect extra layer for a blustery winter day. 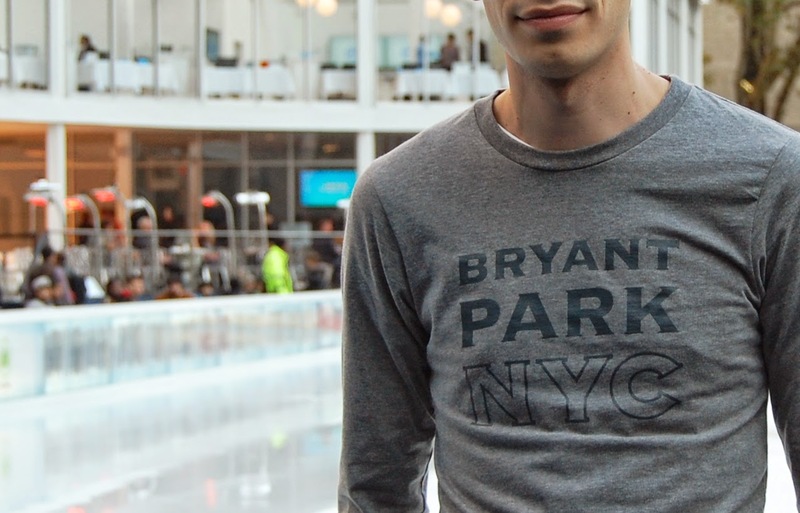 The Bryant Park NYC long-sleeved shirt will cover you in the between-seasons of spring and fall. And you'll live in the Bryant Park NYC T-shirt during the summer! 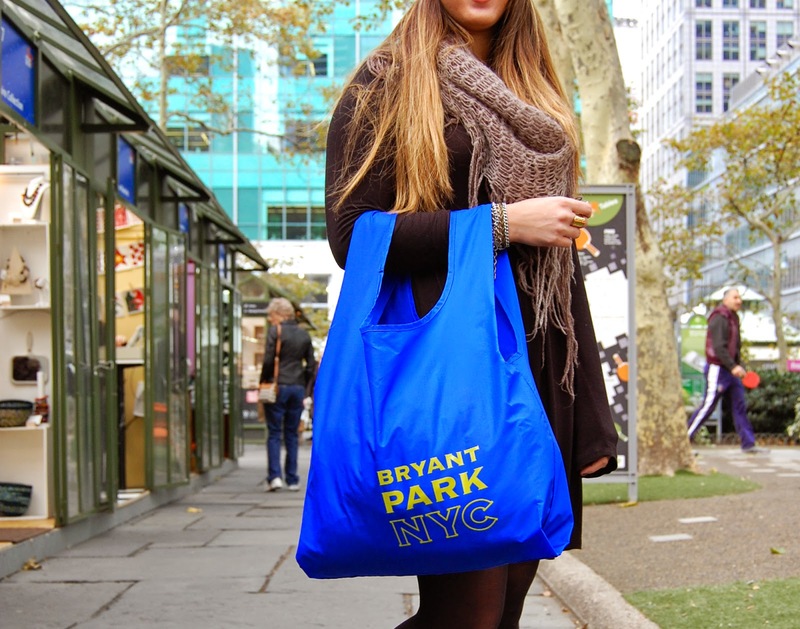 The Bryant Park NYC Baggu tote comes in seven colors. You could have one for every day of the week! 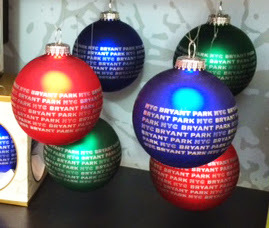 Our Bryant Park NYC ornaments are the finishing touch on your Christmas Tree. They are currently an in-park exclusive, but will later be available on our website as well.